One of my biggest thrills was being invited to cook on the Today show. Even though I knew Al Roker’s favorite cake is red velvet, I wanted to bring a taste of South Carolina along with me. 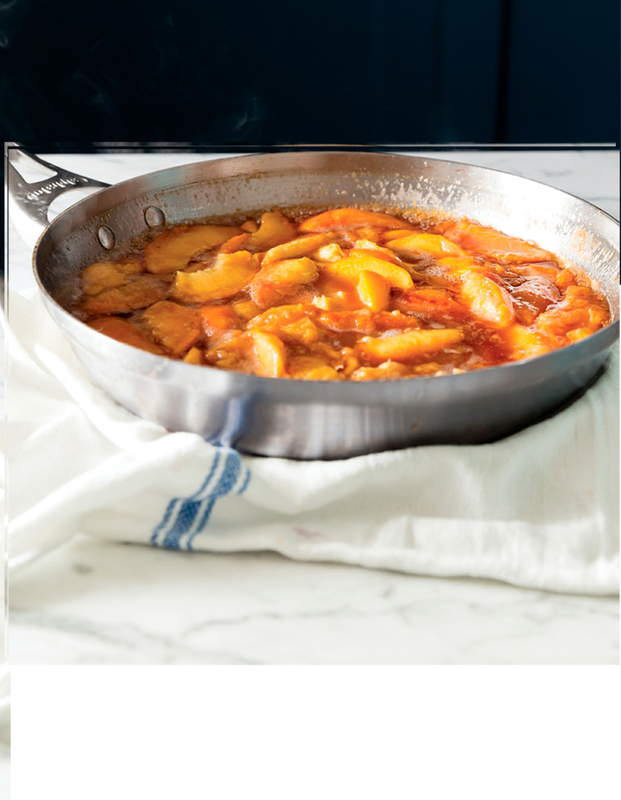 I chose peaches and made them into this recipe. In case you’re wondering, I took along a red velvet cake for Al, too. In a large skillet set over medium heat, melt the ½ cup butter and stir in the brown sugar until dissolved. Add the peaches and cook until just heated through. Remove from the heat. Dim the lights. Add the brandy to the skillet and ignite it. A sprinkle of cinnamon, if using, over the flaming skillet will add some sparkle to the flame. Serve the peaches over your favorite ice cream with the toasted pecans sprinkled on top. I love serving these warm peaches over the Buttermilk Ice Cream (this page).